The Arab League in Washington D.C.
Arab Member-State Embassies to the U.S. 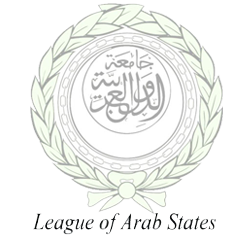 The Arab League office in the United States of America aims at representing the interests of its member-states and foster greater cross-cultural dialogue, building ties of joint-cooperation, deep understanding, and mutual appreciation between the Arab World and the United States and its citizens. The Arab World, consisting of 356 million inhabitants, enjoys unifying factors such as cultural homogeneity, linguistic oneness (The Arabic Language), common spiritual values, and rich history. Geographically, peoples of the Arab world inhabit a region characterized by its contiguity and immense international strategic importance. The Middle East, containing the Arab States, has a strategic location in the world. It is the center of the universe and is in close proximity to all continents. 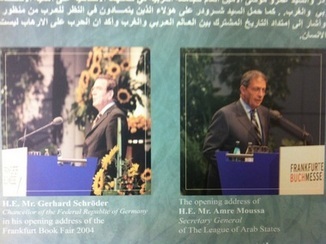 The Frankfurt Book Fair held in Frankfurt, Germany in 2004 welcomed the Arab League as Guest of Honor. The Arab League showcased the cultural and literary talents of the Arab World with the representation of artists from 17 of the 22 member states. This opportunity exposed the Western World to works otherwise lesser-known outside of the Middle East. The Frankfurt Book Fair provided a 5-day forum for sharing the rich cultural history of the Middle East; separate from politics and economics. 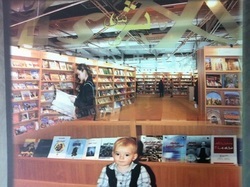 Exhibits ranged from a children’s books display to that of “The Two Holy Mosques in Mecca and Medina” presented by Saudi Arabia. Literary works from across the region were celebrated and performances by Lebanese dance troupe Caracalla also entertained guests. While the focus remained fixed on tradition and folkloric arts, there was plenty of space for current affairs. In addition to the exhibits and performances, the fair also hosted philosophical discussions related to social and intellectual thought in the Arab world and the issue of modernity. Arab League Mission to the Washington, D.C.
Arab League in Washington, D.C.